If Bombard is an unfamiliar name try Zodiac. They build them, and Zodiac is to rigid inflatables what Esky is to ice boxes and Hoover is to vacuum cleaners. The hull is the same as a Zodiac’s but the finish and fit out is claimed to bear economy in mind. I could not spot any significant difference so I put this one down as the value version rather than the cheap. The standard Bombard is perhaps on the stark side, but it can be specced up almost infinitely. 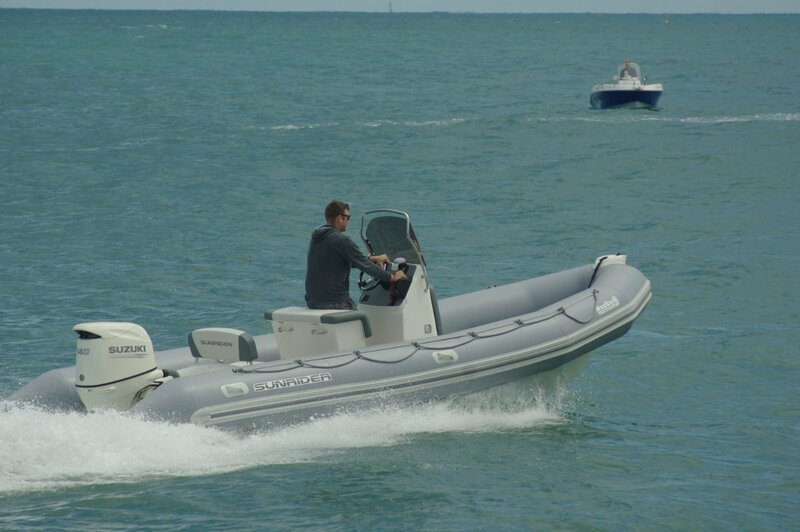 For the basic role of tender it has all the essentials; owners can tune its abilities to suit their particular role. 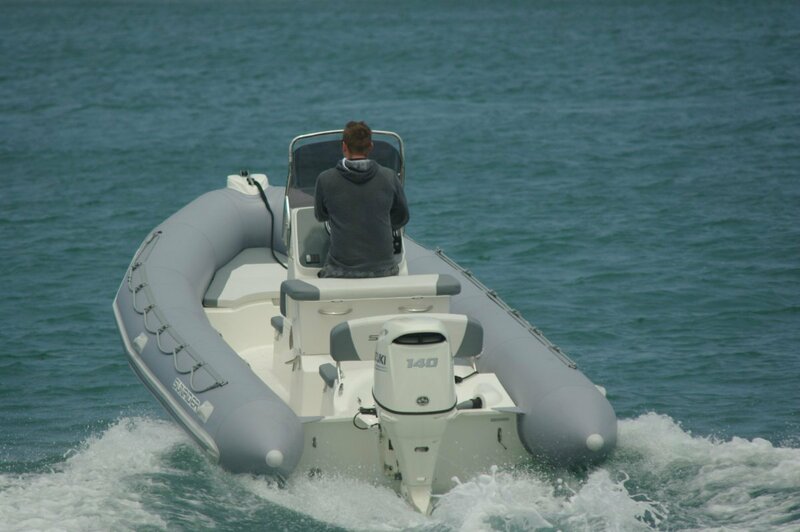 The 6.5 metre length puts the Bombard into contention for the Rottnest tender market, though according to Seabreeze Boating, agents for Zodiac, ex South Africans are also keen inflatable buyers. The boating scene over there is dominated by cats and RIBs, large numbers of both being built locally. The 6.5 is offered with a choice of Hyperlon or PVC tubes. The cheaper PVC is more susceptible to UV degradation, but available tailored covers will go a long way towards extending PVC’s life as well as providing a defence against mechanical wear. A beefy fendering strip takes care of abrasion when parking alongside. Should tubes need replacement, Zodiac-Bombard tubes slide into place rather than being glued there; a much quicker and simpler job. Unusually, these tubes are available in a choice of four colours. Layout is in the almost universal RIB choice of centre console. The console can be folded; useful on longer road tows for reducing fuel consumption. The driving position is very good, based on a one piece bolster and seat mounted on a big capacity stowage box. Standing drivers are provided with good hand holds courtesy of the windscreen surround. There is upholstered seating (choice of three colours) for eight people in four positions plus almost infinite space on the tubes for steerage class. One of the options is for a sun lounge forward which could be called into seating service if large numbers of passengers have to be carried. Anchoring arrangements are about as simple as they come: a bow roller and cleat, and stowage under the bow seat. They tend not get used a lot in RIBs, apart perhaps from keen surfers at West End. South Africans come from a country that has no sea rescue service; every boatie has to look after him or herself. In the interest of self preservation twin motors are almost standard. Our 6.5 though had just the one although the transom will accept another. Even the motor had a choice of colours. 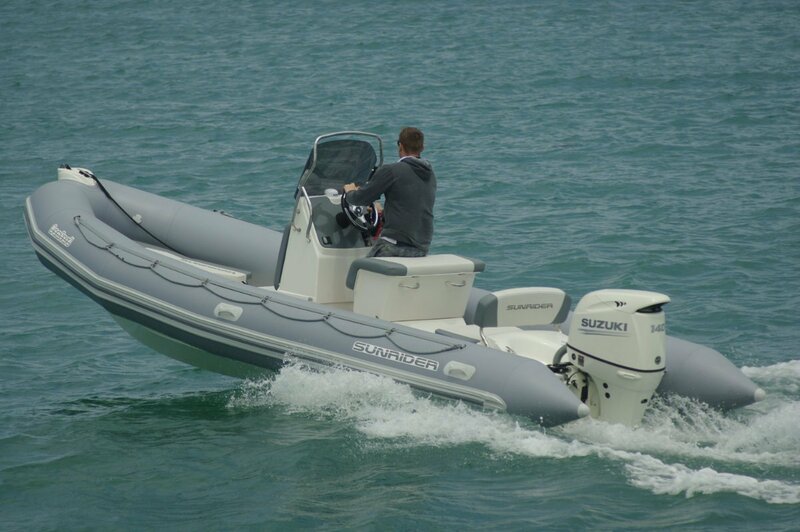 Suzukis used to be like Henry’s early Fords, but white is also now available and is probably more in keeping with the colours of the review boat. The 140hp was well past adequate, but on a boat that could be subject to hugely varying loads a few horses to spare are good to have. 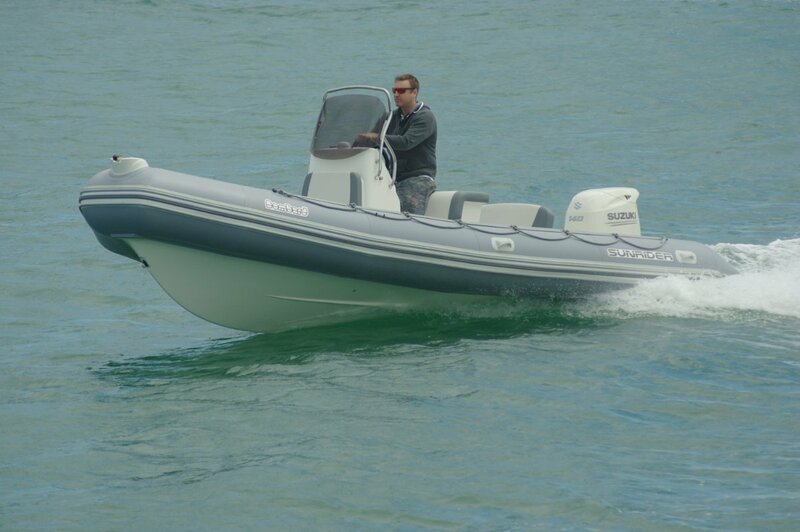 Also, this is a boat that is able to carry speed in a wide range of conditions. The review’s day had a benign condition that allowed us to play to our hearts’ content. Generous power has no down side I can think of but several advantages. For operating near breakers it gives getaway capability; at any time it makes power trim more effective; at all times it allows more fun: the most inept social skiers, for instance, (I speak here as one of them) like the instant acceleration. On the day we played hard and found the 6.5 had all the properties typically associated with the type: hard turns carried out flatter than a conventional boat; all encounters with wakes absorbed with softness. With motor switched off in simulated fishing mode, the 6.5 exhibited the stability of a small island. Rigid inflatables used to be bought only if nothing else would do the job, but times have changed; they have become a part of mainstream boating.